There are certain factors that everyone knows affect workplace productivity, but there is one important factor often overlooked by most employers across the globe: lighting. Sure, it’s common knowledge that reading in the dark can harm your eyes, but lighting has effects well beyond that, and an employer’s choice of lighting can have a significant impact on the productivity of her company. Consider this: A study conducted by the American Society of Interior Design indicated that 68 percent of employees complain about the lighting situation in their offices. The fact that such a substantial number of employees disliked the lighting in their offices enough to complain about it implies that many employers could be making the same mistakes. The two most common scenarios for poor office lighting are lights that are too dim and lights that are too harsh. The first culprit, dim lights, can be detrimental to productivity for several reasons. First, dim lighting can cause eye strain and headaches, because, when lighting is inadequate, the eyes are forced to work much harder in order to see. Dim lighting can also result in drowsiness and lack of focus, which would obviously have a negative impact on employee motivation. The second culprit, harsh lighting, is much more common than dim lighting and is just as harmful. Florescent lighting, especially, has a number of negative effects on employees, as it has been known to cause eye strain, and it is also cited as a trigger for migraine headaches. This harsh lighting also makes it more difficult for the eye to focus, so alternatives should be sought whenever possible. The best alternative to harsh lighting and dim lighting systems is natural light itself. In a study conducted in Britain and published in “The Responsible Workplace,” it was shown that windows were the number one determinant of the occupants’ level of satisfaction with a building. This effect is due to lighting’s ability to affect the human body in two ways: directly, in the form of affecting what and how well we are able to see, and indirectly, in the form of effects on our mood, behavior, and even hormonal balance. Natural lighting renovations have been shown to result in happier workers, less absenteeism, and fewer illnesses, and, because better lighting encourages satisfaction among workers, it also results in increased productivity. But just how much of an impact does improved lighting really have on the productivity of workers? According to some studies, the impact is substantial, and, although the initial cost of a lighting renovation could seem daunting, the gains due to energy savings and- more importantly- productivity gains more than make up for the cost of the investment. Take the following case study for example: In the late 1980s, the lighting systems in the U.S. post office in Reno, Nevada were renovated to make them more worker friendly. The upgrade resulted in energy savings of about $50,000 per year, but the real improvements came in the form of employee productivity. Mail sorters in the facility became the most productive sorters in the western half of the country, machine operators boasted the lowest error rates, and the financial impact of the productivity increase was expected to boost revenue by approximately $500,000 per year. And this wasn’t an isolated incident. Countless other companies across the country have also noted productivity increases as the result of lighting renovations. With light being a key component of vision, and vision being responsible for 80 to 85 percent of our perception of the world around us, it’s not difficult to see why ignoring proper lighting strategies in your office could have a significant negative impact on productivity. Harsh lighting and dim lighting are equally detrimental to the productivity of your workers, and, by opting instead for more natural lighting or other lighting systems that have been proven effective, you stand to not only save energy but also increase productivity among your business’s employees. I actually prefer fluorescent lighting than natural light. Somehow it just motivates me to work. Some very interesting points. 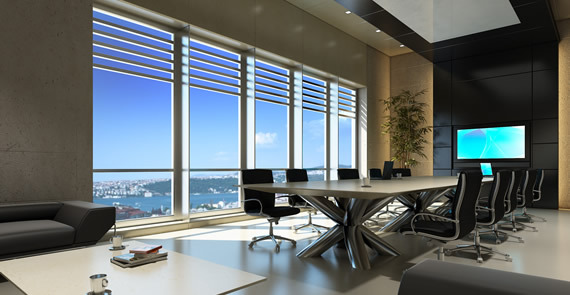 In some cases, especially in large offices with huge floors natural light is simply not an option. And I guess no amount of technology can actually replicated the natural light setting. Dim lighting being bad for your eyes is a big myth. It’s just not true. Dim lighting being bad for productivity however is another story. Florescent lights too are not necessarily bad. They don’t inherently cause headaches. Cheaper lights and cheaper ballasts can result in flicker; imperceptible to most people but can lead to headaches. The same is true for LEDs. Most high quality LED and florescent lamps have minimal to no flicker. There are people online (especially on YouTube) who test various bulbs for flicker so you can do research before purchasing. You are completely wrong. I am now sitting in a dim environment and it gives me eye strain everyday. At the end of every week I have a headache and I am sure it affects my mood. Fluroscent lighting also does cause headaches and eye strain for me. It reflects on the surfaces around it and the light bounces into my eyes causing headaches. LED lights can give me headaches in minutes especially from new phones and I pads. Not everyone is the same, everyone is different – and I find that my eyes are a lot more comfortable in natural light and away from artificial sources. Lighting is important – period. Till we develop bat vision, we will need light. Different individuals need different conditions. Maybe we could create “zones” of different light conditions and allow employees flexible work stations so that they can each find their place in the “SUN”…..or away from it…as per their choice. Allison, I would like to know more about the campaign you recently start. How may I contact you? I noticed that no one has mentioned LED lighting. Isn’t that the closest thing you can get to natural lighting short of adding more windows?? Why would i increase strain in my eyes with light bulbs if the monitor already have enough lightning. Lightning is known to cause eye strain, is not printed paper people, in fact there are software to increase screen temperature and make it more subtle so that it can decrease eye strain. I cannot find any study by the American Society of Interior Design that says 68 percent of employees are unhappy with their lighting. I’ve been looking for about 2 hours now. All I can find is other 3rd parties saying the same statistic but no one linking to such a study. I’ve even read through all the studies the ASID posted on their website in 2017, none of them mention that statistic. One of the studies (ASID WELL Survey Post-certification Report 17116 FINAL) was about their transition to a new office in Washington DC and they surveyed their own employees. That study showed 47% of their employees were dissatisfied with the lighting in their old office. However this magical “68%” stat I couldn’t find. Would love a link if you have one. Austin – The article mentioned in this blog post, which was written by one of my staff several years ago, refers to a white paper that was at one point in time available behind a paywall. What is the name of the article or link to the paywall so we can attempt to purchase access? How can I get this article emailed to me so that I can send it to my employer who keeps all the blinds closed keeping out all natural light from coming in? Do not dim the light (hard to do with fluorescent anyways) you need a good level of light for your eyes to work effectively. Lowering the lighting too much and you are risking eyestrain.